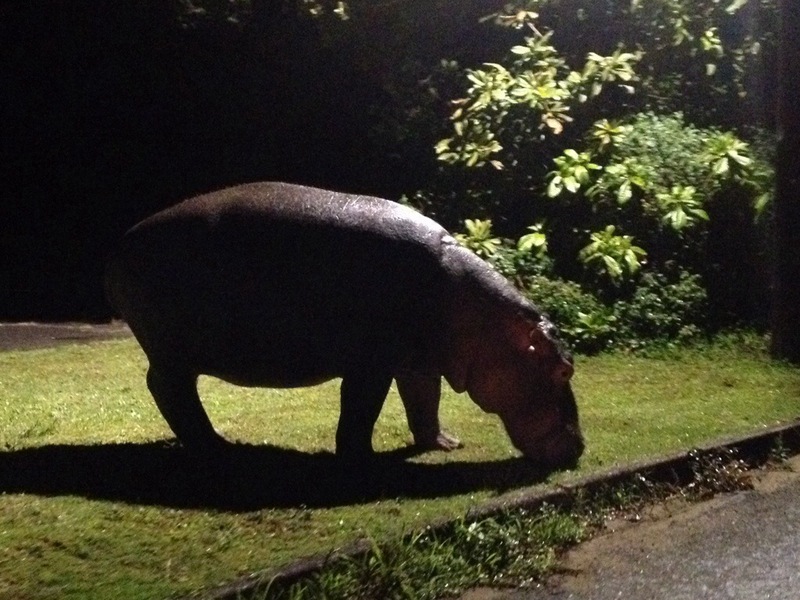 Imvubu in Tsonga, hippo in English, account for more human deaths than the big five combined. They can run up to 45 kms per hour and during the night travel around 30 kms whilst munching. Hippos are night animals because they have sensitive skin and get sunburnt. Contrary to what one might think, hippos cannot swim this need to find a place just deep enough to spend the day underwater where they sleep.